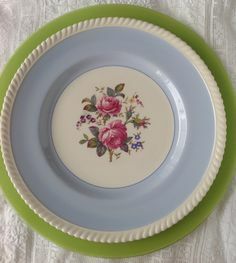 Universally popular Dinner Plate the Marlow features many soft pastel shades to coordinate with many bridal color palettes.Making creating a beautiful tabletop attainable. 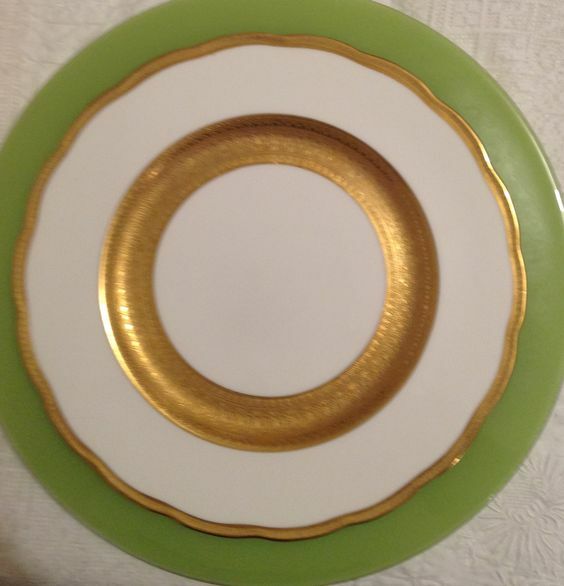 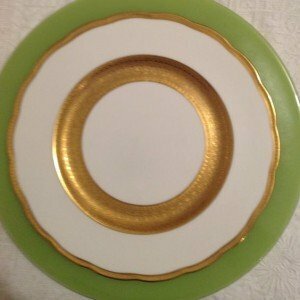 Deeply gilded Gold rimmed Dinner Plate.This is the starting point for many creative Tabletop ideas.It can be used with any other color but also stands alone as a show stopper. 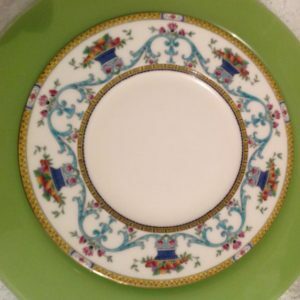 This unusual Fine China Plate is Square and full of personality.It is divine with deepest Navy but equally as beautiful with soft creams a must for an eclectic tabletop design. 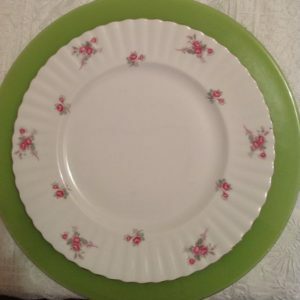 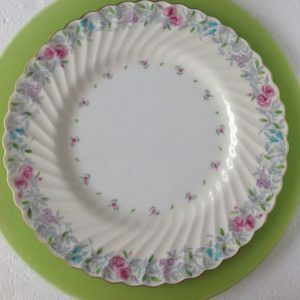 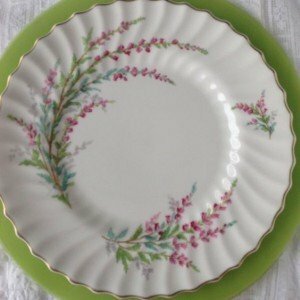 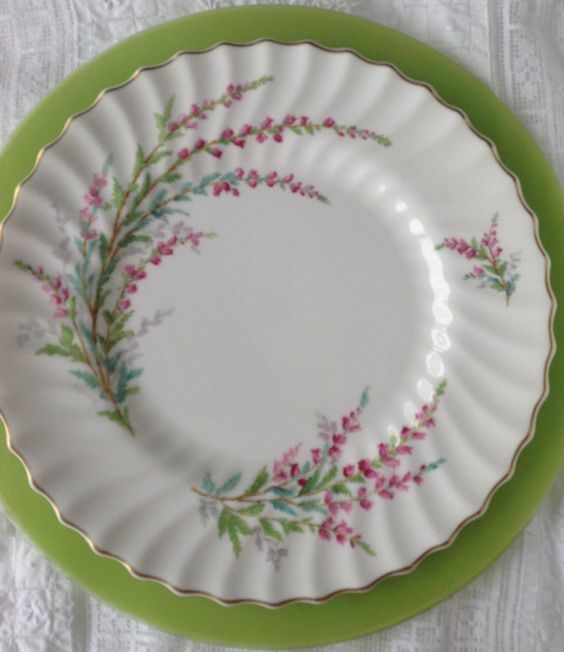 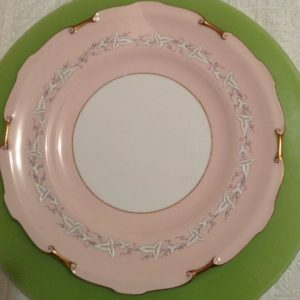 This fluted rim Dinner Plate features a heather motive in gentle shades of pink and turquoise.Its fluted rim and delicate pattern will add stunning elegance to your tabletop vision. 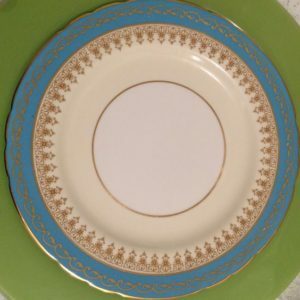 Softest blues add an ethereal touch to your special day. 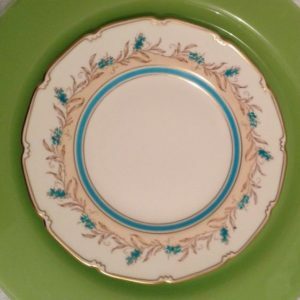 Layering in blues and white can be especially rewarding for your tabletop design. 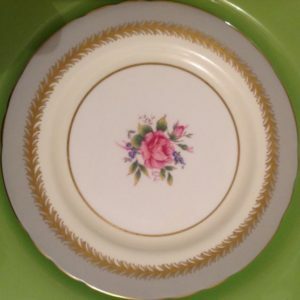 This pieces also features a delicate gold rim. 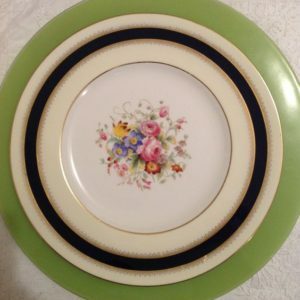 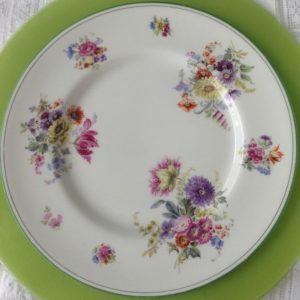 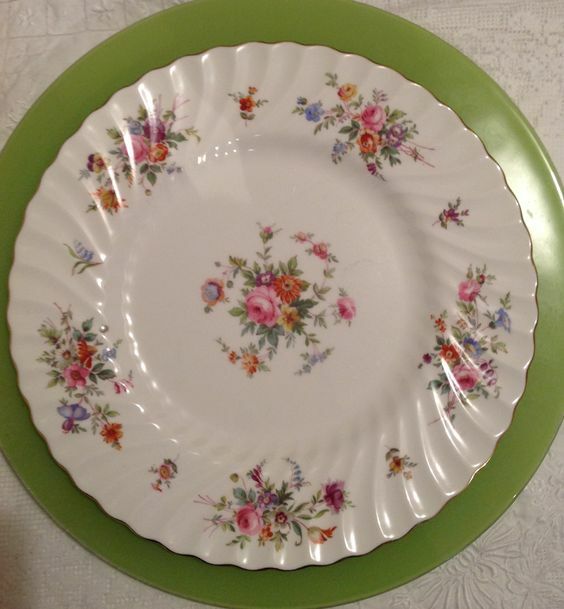 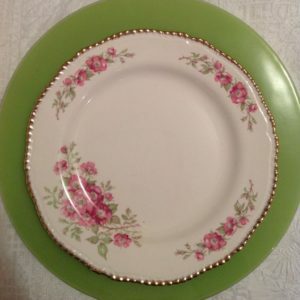 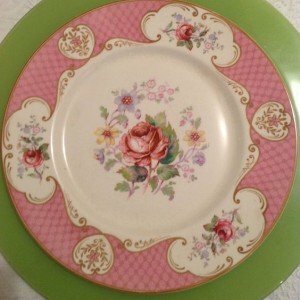 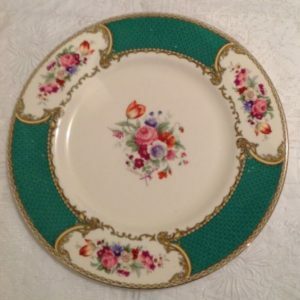 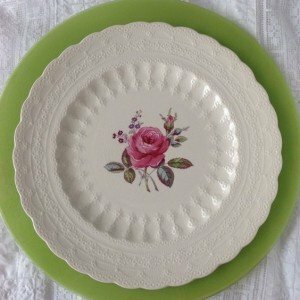 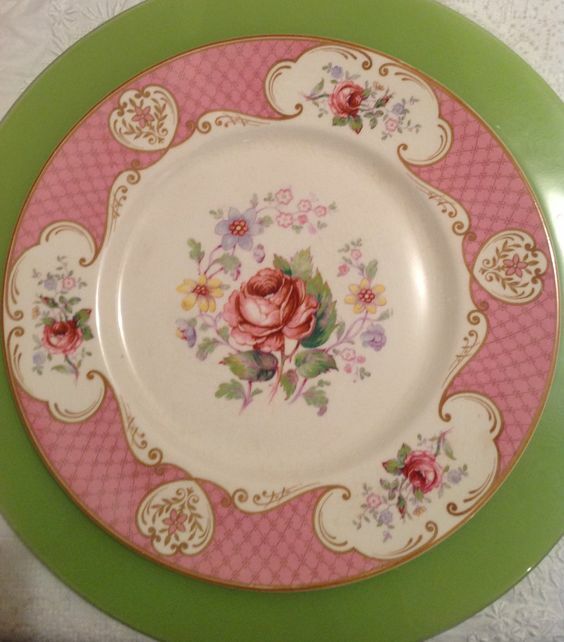 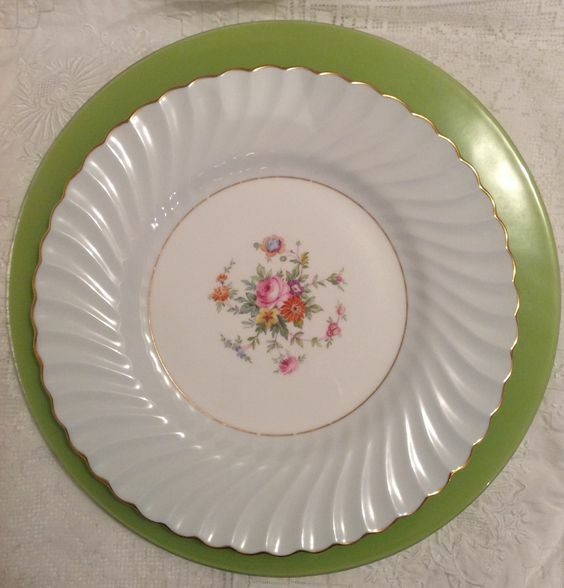 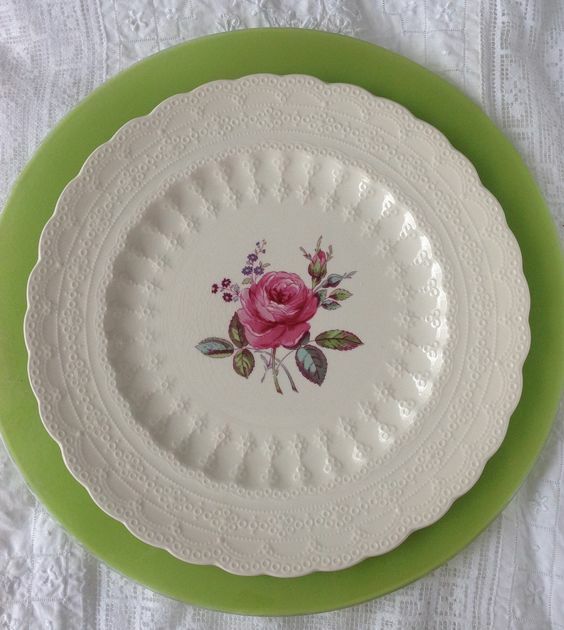 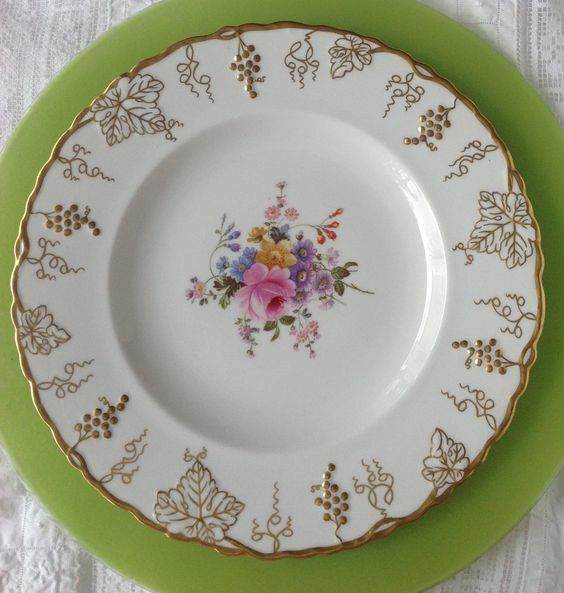 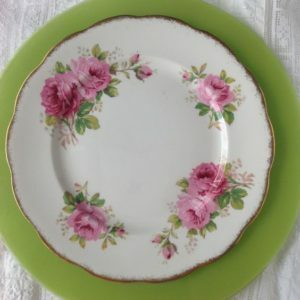 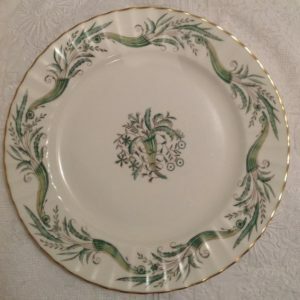 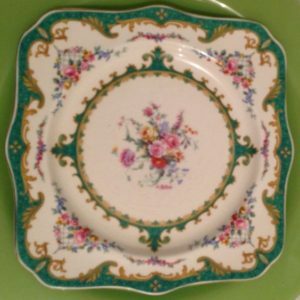 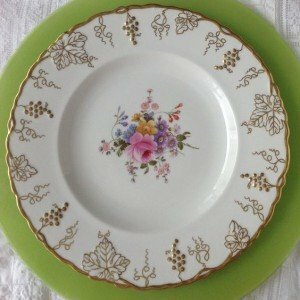 Cabbage roses adorn this plate featuring a wide rose hued rim.Very Victorian in character she can also be modern with a layer of fresh green. 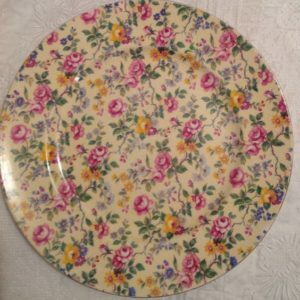 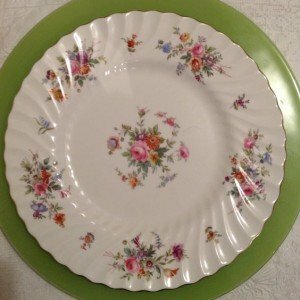 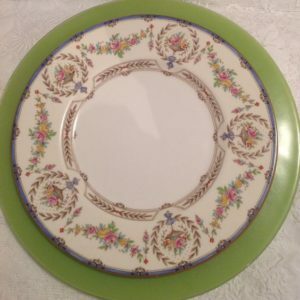 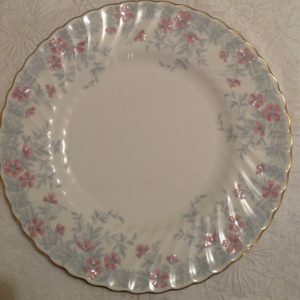 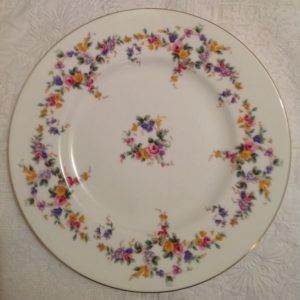 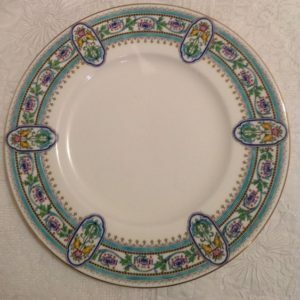 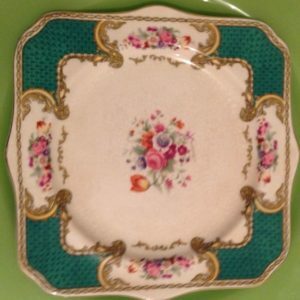 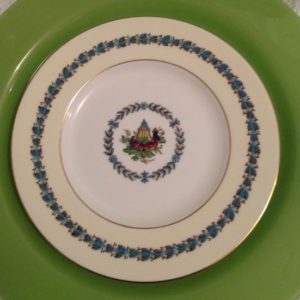 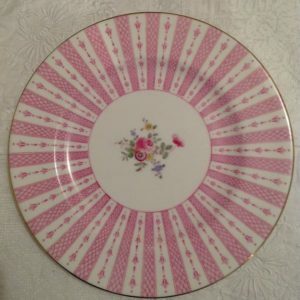 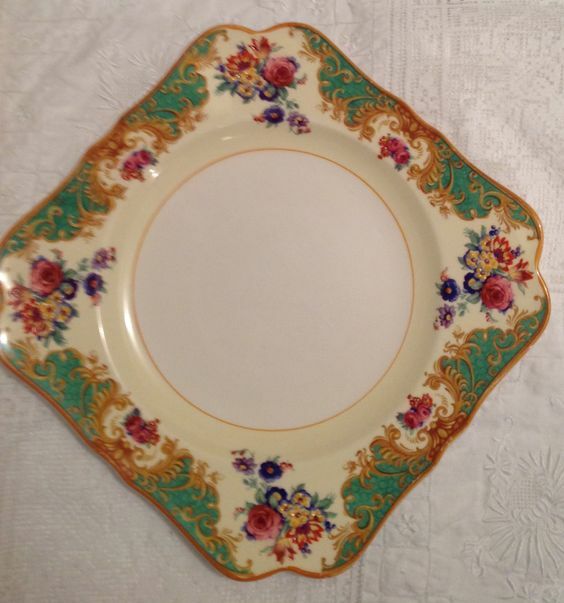 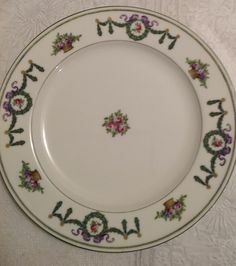 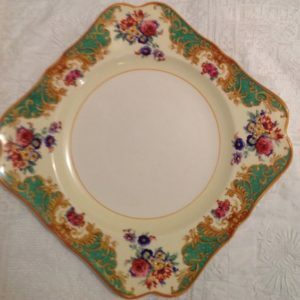 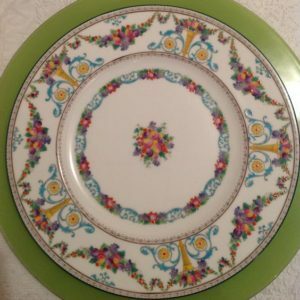 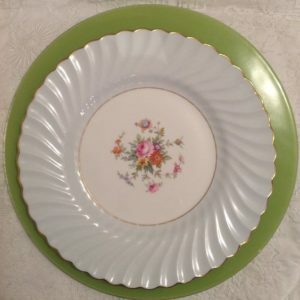 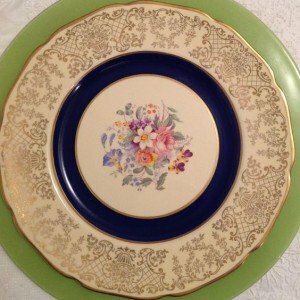 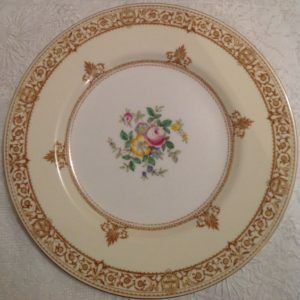 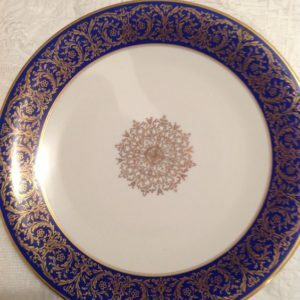 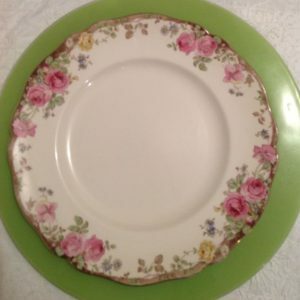 This Royal Crown Derby Dinner Plate is one of my favorites. 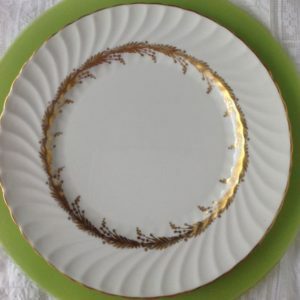 The rim is elegant with vines cascading around the rim embossed in gold.This is a perfect starting pint for any color palette your tabletop design will include.Its quality is simply unmistakable . 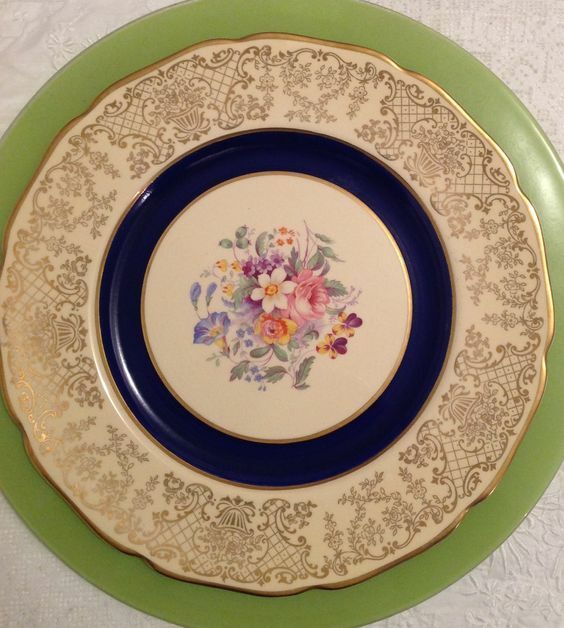 Deep navy and robust florals add dimension to this stunning gold rimmed plate.